I need a logo for the site. It's needs to be something fun, with some movement. Maybe even some funny little heads wearing the hats. They are mostly gray hats, but feature either a red, blue or yellow accent on top. 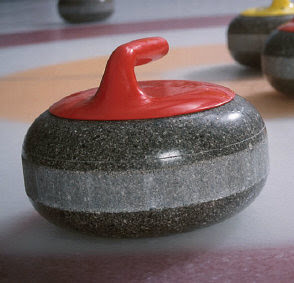 The name, Curling Hats, and an illustration/representation of the product.